Hey there GoGo Fans! It's the 1st of the month which means we have a new Be Inspired challenge up today. 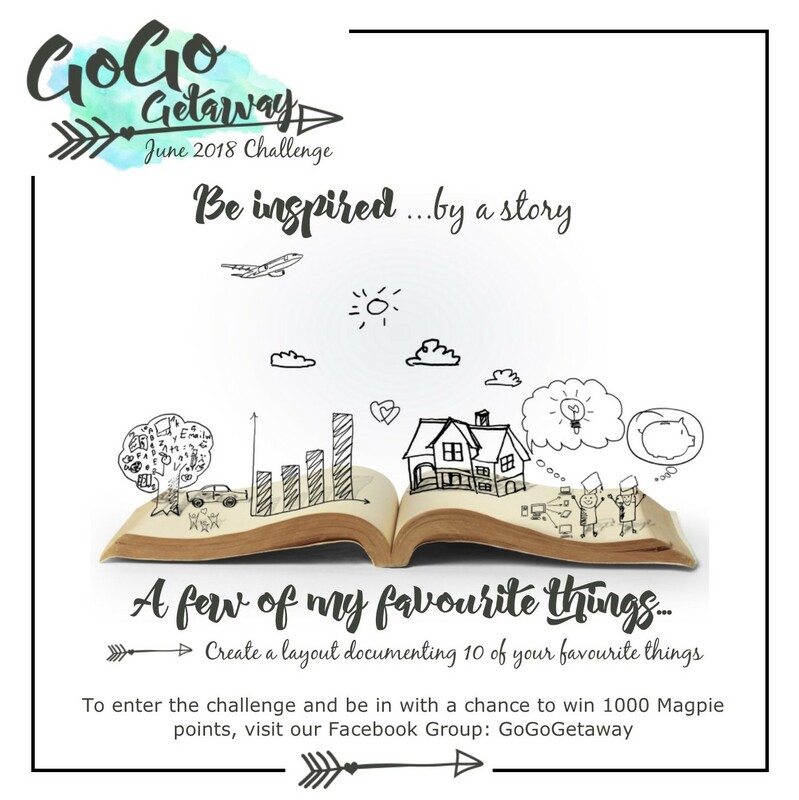 Today's challenge is to Be Inspired by a Story...and that story is to document 10 of your Favourite Things. 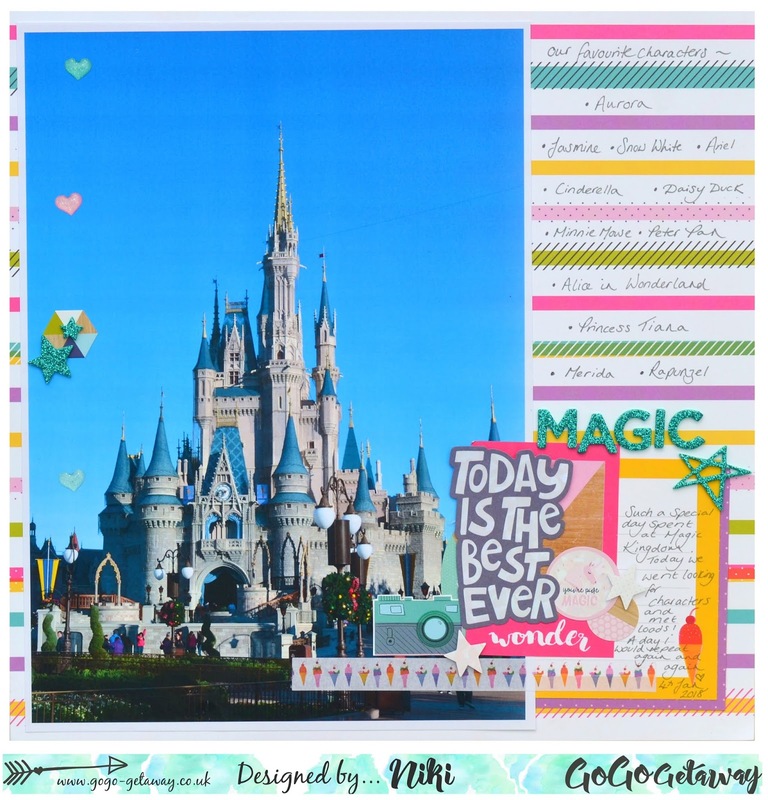 I choose to document 10 of our favourite characters that we met at Disney...instead of trying to include a photo of all of them on one layout, I figured I'd list them here with a generic photo and scrap them all individually! 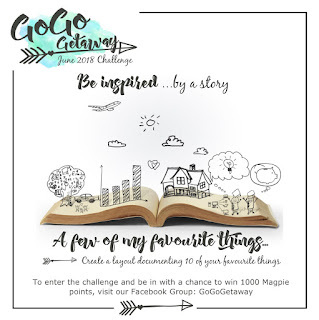 Our Be Inspired challenges can be found on the GoGo Getaway blog on the 1st of each month and you can enter your creation on our Facebook Group, GoGoGetaway, to be in with a chance of winning 1000 Hey Little Magpie Reward Points. We also have an overall grand Prize Draw for the year, where every entry goes into the draw to win a free place at a GoGo Getaway in 2019 which is worth £380 - what an amazing prize!